Home prices maintained their robust, upward trajectory in a vast majority of metro areas during the second quarter, causing affordability to slightly decline despite mortgage rates hovering at lows not seen in over three years, according to the latest quarterly report by the National Association of REALTORS. The report also revealed that for the first time ever, a metro area – San Jose, California – had a median single-family home price above $1 million. The median existing single-family home price increased in 83 percent of measured markets, with 148 out of 178 metropolitan statistical areas (MSAs) showing gains based on closed sales in the second quarter compared with the second quarter of 2015. Twenty-nine areas (16 percent) recorded lower median prices from a year earlier. There were slightly fewer rising markets in the second quarter compared to the first three months of this year, when price gains were recorded in 87 percent of metro areas. Twenty-five metro areas in the second quarter (14 percent) experienced double-digit increases – a small decrease from the 28 metro areas in the first quarter. A year ago, 34 metro areas (19 percent) experienced double-digit price gains. The national median existing single-family home price in the second quarter was $240,700, up 4.9 percent from the second quarter of 2015 ($229,400), which was previously the peak quarterly median sales price. The median price during the first quarter of this year increased 6.1 percent from the first quarter of 2015. Total existing-home sales,including single family and condos, rose 3.8 percent to a seasonally adjusted annual rate of 5.50 million in the second quarter from 5.30 million in the first quarter of this year, and are 4.2 percent higher than the 5.28 million pace during the second quarter of 2015. At the end of the second quarter, there were 2.12 million existing homes available for sale, which was below the 2.25 million homes for sale at the end of the second quarter in 2015. The average supply during the second quarter was 4.7 months – down from 5.1 months a year ago. According to Yun, without enough new construction being built, existing inventory seriously failed to keep up with the growing demand for buying. As a result, homes typically stayed on the market for around a month throughout the second quarter, and over 40 percent of listings sold at or above list price, with June being the highest share since NAR began tracking in December 2012 (43 percent). Despite falling mortgage rates and a small increase in the national family median income ($68,774), swiftly rising home prices caused affordability to decline in the second quarter compared to a year ago. To purchase a single-family home at the national median price, a buyer making a 5 percent down payment would need an income of $52,255, a 10 percent down payment would require an income of $49,504, and $44,004 would be needed for a 20 percent down payment. The five most expensive housing markets in the second quarter were the San Jose, California, metro area, where the median existing single-family price was $1,085,000; San Francisco, $885,600; Anaheim-Santa Ana, California, $742,200; urban Honolulu, $725,200; and San Diego, $589,900. The five lowest-cost metro areas in the second quarter were Youngstown-Warren-Boardman, Ohio, $85,400; Cumberland, Maryland, $94,900; Decatur, Illinois, $95,600; Binghamton, New York, $105,500; and Rockford, Illinois, $109,000. Metro area condominium and cooperative prices – covering changes in 59 metro areas – showed the national median existing-condo price was $227,200 in the second quarter, up 4.8 percent from the second quarter of 2015 ($216,700). Forty-four metro areas (75 percent) showed gains in their median condo price from a year ago; 14 areas had declines. Total existing-home sales in the Northeast jumped 7.6 percent in the second quarter and are 11.3 percent above the second quarter of 2015. The median existing single-family home price in the Northeast was $273,600 in the second quarter, up 1.6 percent from a year ago. In the Midwest, existing-home sales leaped 10.4 percent in the second quarter and are 6.6 percent higher than a year ago. The median existing single-family home price in the Midwest increased 5.1 percent to $191,300 in the second quarter from the same quarter a year ago. Existing-home sales in the South inched forward 0.3 percent in the second quarter and are 4.2 percent higher than the second quarter of 2015. The median existing single-family home price in the South was $214,900 in the second quarter, 5.9 percent above a year earlier. In the West, existing-home sales climbed 1.4 percent in the second quarter but are 2.2 percent below a year ago. The median existing single-family home price in the West increased 6.5 percent to $346,500 in the second quarter from the second quarter of 2015. Confirming a record-breaking summer, the residential real estate market has kept the temperature up with the hottest July in a decade, according to new data on inventory and demand on realtor.com®. Homes for sale in July are moving two percent more quickly than last year as prices continue to hit new record highs. The median age of properties on realtor.com in July is expected to be 68 days, one day faster than last year but three days slower than last month, a normal seasonal shift. July typically sees inventory age increase as the level of inventory peaks for the year and sales begin to decline. The median home was listed for $251,000, seven percent higher than one year ago and one percent lower than last month. While that is the first price decrease since January–typical for the seasonal shift–it is a record high for July. For-sale housing inventory is still growing on a monthly basis, and will soon peak for the year. However, total inventory remains lower than one year ago and the estimated 500,000 new listings expected at the end of the month will once again fail to bring enough relief to buyers looking for the right home. “The confluence of fast-moving inventory and high prices for sellers combined with strong purchasing power for buyers will be hard to repeat in future summers,” says Smoke. Median age of inventory is estimated to end at 68 days, down two percent from last year and up five percent from last month. Median listing price for July should reach a record high of $251,000, a seven percent increase year over year and a one percent decrease month over month. Listing inventory in July is expected to show a one percent increase over June. However, inventory should still show a decrease of five percent year over year. com’s Hottest Markets receive 1.4 to 2.7 times the number of views per listing compared to the national average. In terms of supply, these markets are seeing inventory move 17-37 days more quickly than the rest of the U.S. 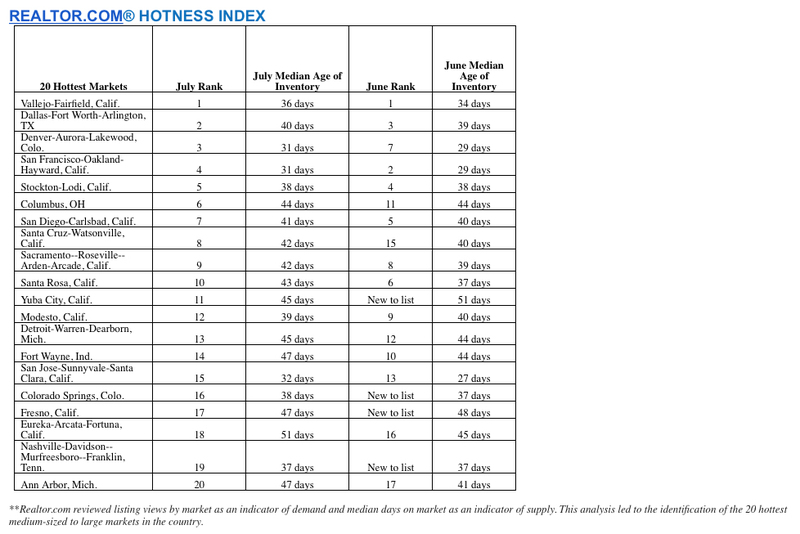 The hottest markets are seeing inventory movement slow down slightly as the median age increased by two days on average from June. 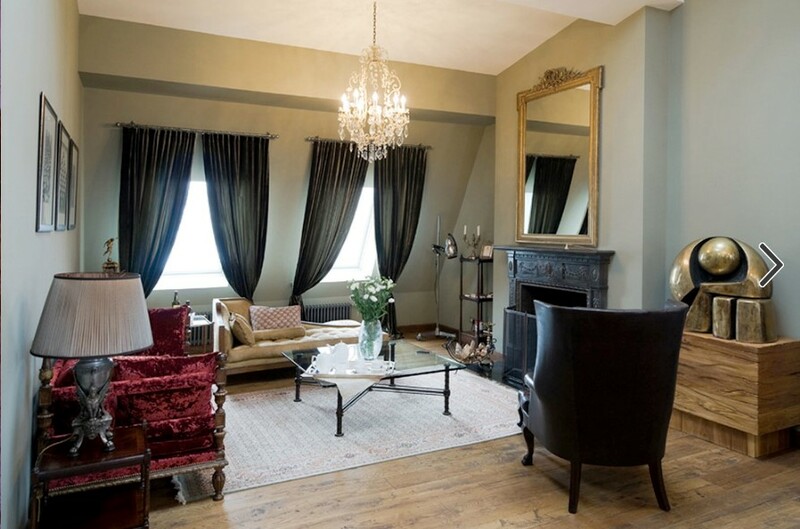 A great way to add character and individuality to your home is to look beyond the United States and incorporate international interior design trends. It’s also a wonderful way to pay homage to your roots if you have ancestors or relatives from another part of the world. Each culture has its own interior design flavor that stems from the area’s history, lifestyle trends and the materials available in the region. There are way too many beautiful trends from around the world to list them all here, but I’ve compiled a few of my favorites. From Mexico to Italy to Indonesia, get ready to take a trip around the world and get inspired! The trick is a mix of old and new. “We are quite sentimental about the past,” says Dorozhkin. This is a big trend in Italian interior design. It’s a mix of modern and traditional, hard and soft, metal and wood. Wood, stone and textured fabrics hark back to Italy’s traditional roots, while the glass and metal elements add light, structure and intensity. Over the years, Mexican interior design has been heavily influenced by Mediterranean styles. Many homeowners in Mexico choose to embrace that influence, but also pay homage to the traditional history and culture of their own region. How? Incorporate traditional Mexican art, patterns and potted plants or flowers. 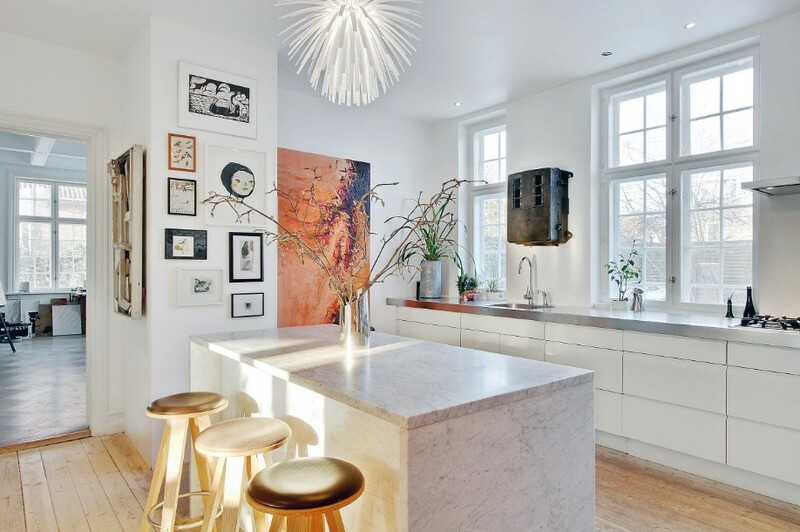 Light fixtures and tiles are a great place to make the distinction. The big, traditional painting is front and center. The rug and tapestry are patterned, but the rest is simple. The room lets in plenty of natural light. The gentle, brown color scheme fits both a Mediterranean and traditional Mexican vibe. Many contemporary Japanese interior designers have perfectly mastered the art of creating simple, minimalist spaces that are also livable and inviting. That means goodbye to stark whites and hello to warmer elements like light wood and off-whites. 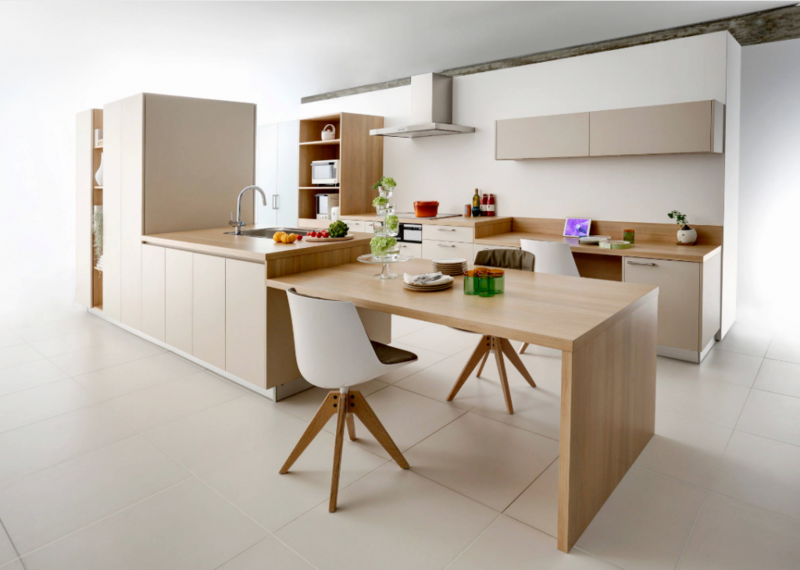 In the kitchen above, both the table and cabinets get their color from a melamine material. Many Tokyo dwellings are too small to have their own gardens, so indoor plants are a welcome touch. Trends in the UK are often pretty similar to US trends, but this is one distinctly English trend I love. 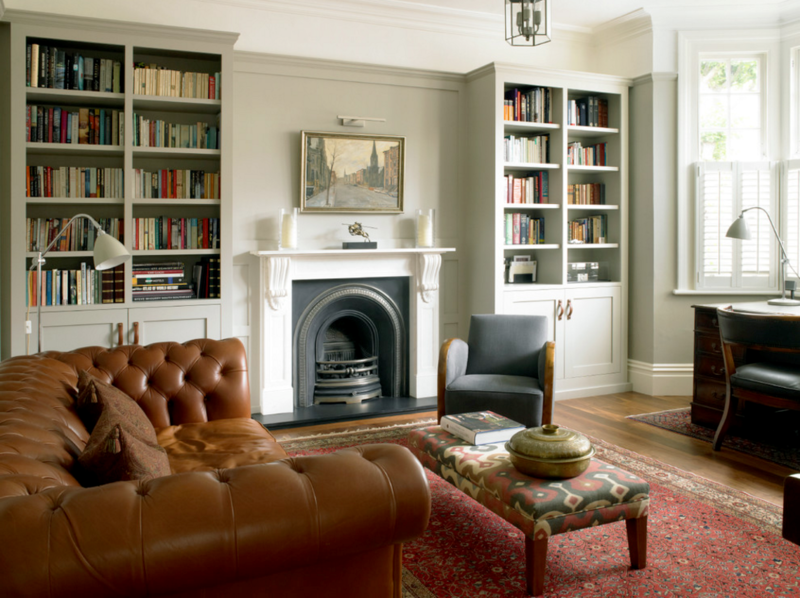 A classic Victorian era space can still incorporate many modern elements, but if you’re going for this look, build your design around dark browns, leather (or faux leather), wood elements and lots of books. Just keep in mind, that a few traditional elements can go a long way. For a minute, imagine the room above without the big brown couch. The space would have a much different feel! That couch really completes the room. Mid-century modern is a term used to describe sleek, geometric, Danish-inspired designs from the 1930s to mid 1960s. The design movement has been popular for decades and has seen a resurgence in popularity in recent years all over the world, but no one does it better than Denmark. Just make sure to bring the look into the 21st century with more contemporary elements like modern appliances or art you love. 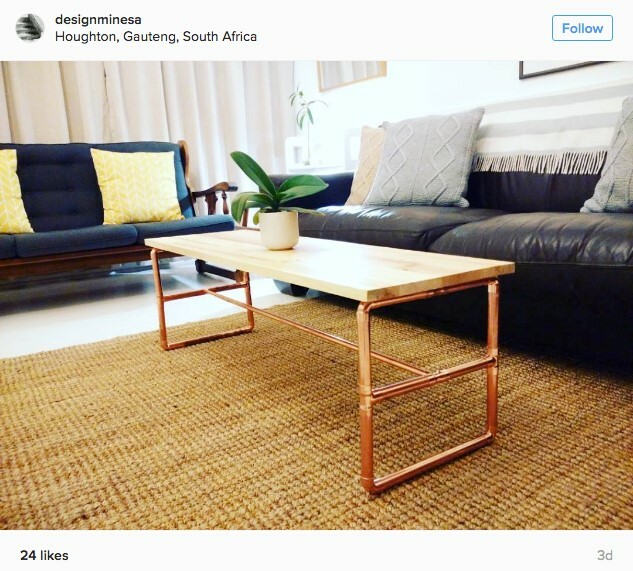 Because interior design has become so modernized in India over the last century, many homeowners and designers are making a concerted effort to use handcrafted materials in their designs, according to Sonia Dutt, of ELLE Decor India. You can incorporate traditional Indian craftsmanship in your wall treatments, accents, rugs, cushions, towels and even bed linens. To create a balance, it helps to stick to one color palette, like the reds in the photo above. 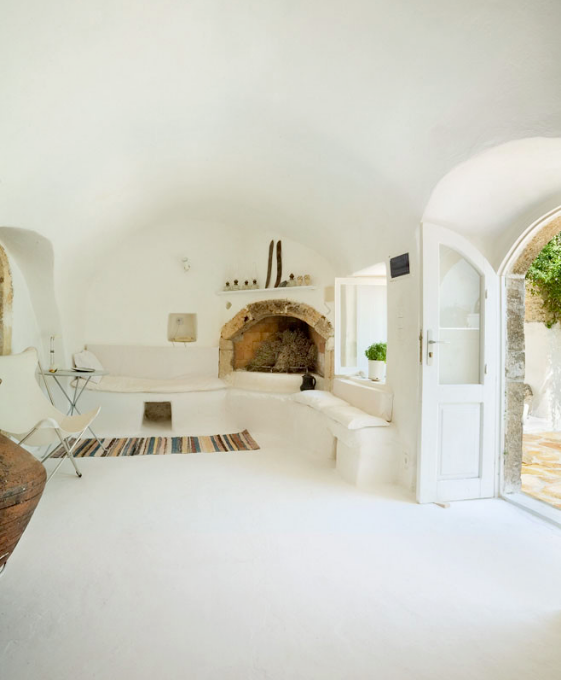 Covering walls in a cement-like mixture isn’t just an old Greek tradition, it’s actually a big trend in Greece today, according to Flora Tzimaka, editor of ELLE Decoration Greece. It can make “any space or room look like a sculpture,” she says. 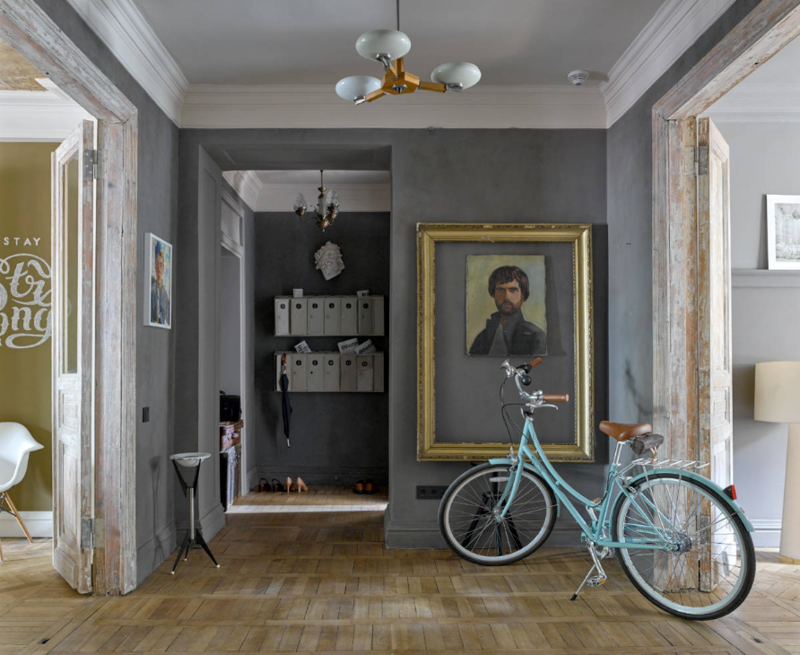 It’s easy to get the look, because cement can be painted as a thin layer over most wall surfaces. 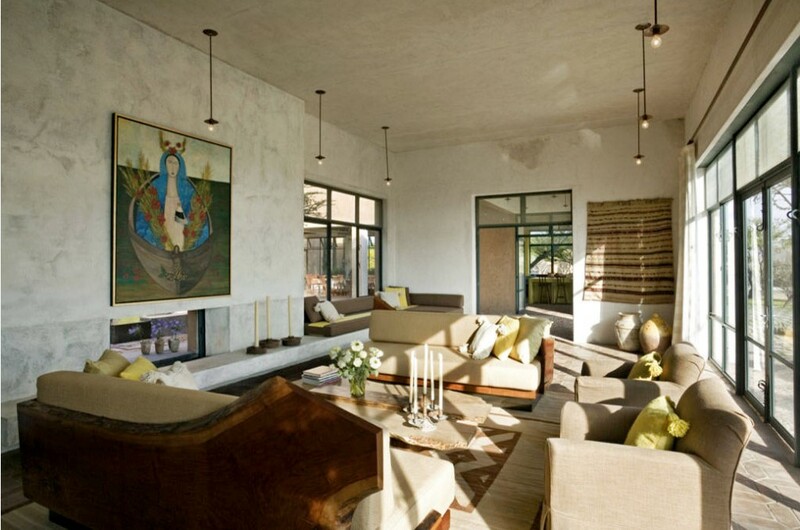 The walls in the home above used cement painted with white washed lime. Ready to Try a New International Trend? Incorporating an international design trend is a great way to embrace your family’s roots (or just a different culture that inspires you)! I hope this post gave you some ideas to get started. If you’re interested in design trends from a different area that I didn’t get to here, there are plenty of places to research! ELLE Decor has websites for many different countries around the world. Pinterest and Google Image searches are also great research tools. Erin Davis is owner of Mosaik Design & Remodeling in Portland, Ore. For more information and tips visithttp://mosaikdesign.com/ or contact her at erin@mosaikdesign.com. The Pending Home Sales Index, a forward-looking indicator based on contract signings, inched 0.2 percent to 111.0 in June from 110.8 in May and is now 1.0 percent higher than June 2015 (109.9). With last month’s minor improvement, the index is now at its second highest reading over the past 12 months, but is noticeably down from this year’s peak level in April (115.0). One noteworthy and positive development occurring in the housing market during the first half of the year, according to Yun, is that sales to investors have subsided from a high of 18 percent in February to a low of 11 percent in June, which is the smallest share since July 2009. Yun attributes this retreat to the diminished number of distressed properties coming onto the market at any given time and the ascent in home prices, which have now risen year-over-year for 52 consecutive months. In spite of the slight slowdown in contract signings from April’s peak high, existing-home sales this year are still expected to be around 5.44 million, a 3.6 percent boost from 2015 and the highest annual pace since 2006 (6.48 million). After accelerating to 6.8 percent a year ago, national median existing-home price growth is forecast to slightly moderate to around 4 percent. Says realtor.com Chief Economist Jonathan Smoke: “Today’s pending home sales figures were the highest for June on a non-seasonally adjusted basis since June 2005 – even higher than in June 2006, the peak of the housing boom. We also saw the second-highest seasonally adjusted pace of sales in the last 12 months. June’s gains in existing, new, and pending home sales closed out a strong spring and first half of 2016 for the housing market.